Register by 10am at Holy Trinity Church, Blythburgh. First (£100) and second (£50) prizes will be awarded this year. Work will be displayed within the main exhibition and can be available for sale if the artist wishes. A downloadable information sheet will be available on this page in the near future. The 2018 PAINT OUT competition was held on a very hot Saturday 4th August at Holy Trinity Church, Blythburgh, Suffolk. 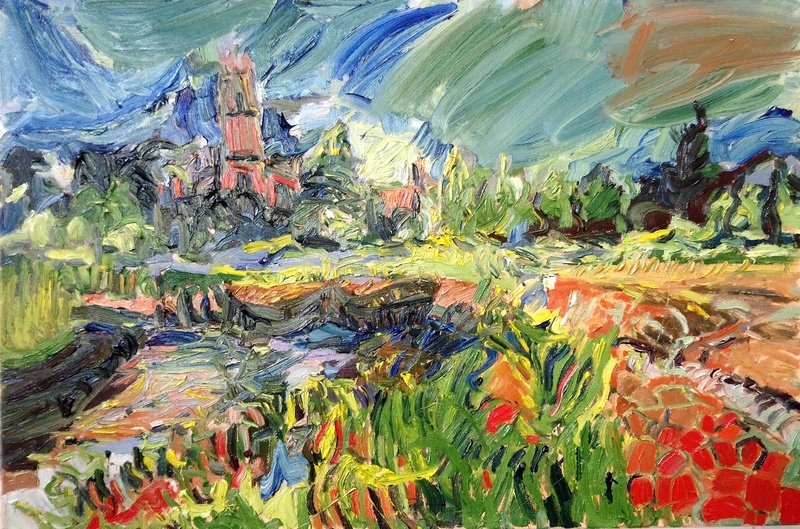 Harry Becker’s grave is in Holy Trinity Blythburgh churchyard, and for the first time in our PAINT OUT competitions, artists were invited to consider using a working party clearing the grave as a figurative subject. We think a figurative subject may be unique in the field of Paint Out competitions. 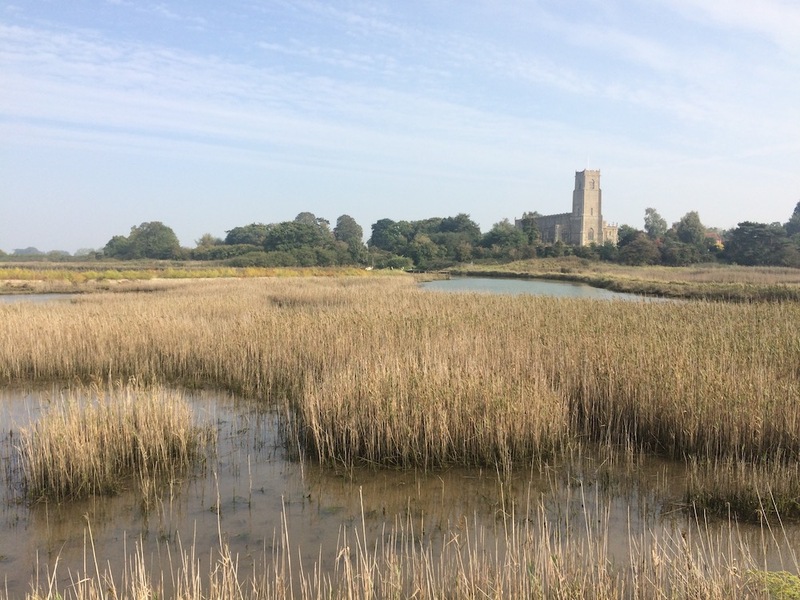 Cathedral of the marshes: Holy Trinity, Blythburgh. The competition attracted 11 participants this year and produced some excellent paintings during the 3 hour maximum time allowed. Many artists stayed to paint or draw close to Becker’s grave while our volunteers cleared the long grass away from the headstone and surround – revealing confirmation that Becker’s wife is commemorated on the surround (it had been previously noted that she had not been included on the headstone). Our judge this year was Margaret Wyllie, painter, conceptual artist and illustrator. Prizewinners are shown below.